Highly qualified independent prescribing optometrist, working alongside local GPs. 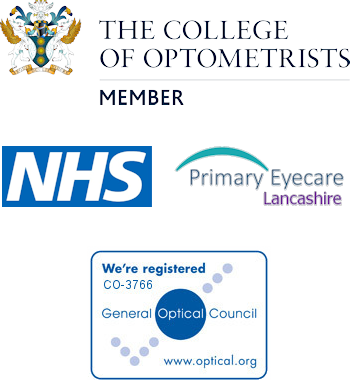 Provider of all local NHS enhanced optometric services. Comfortable, relaxed eye test intervals of 30 mins allowing time to perform additional tests, discuss requirements and needs or provide explanations. Includes digital retinal photography. Professional, trusted local provider recommended by word of mouth, with fair prices. No gimmicks, loss-leading promos or pushy target driven sales. Only 1% of optometrists are qualified as independent prescribers. James is one of them. Looking for opticians near Kelbrook? A trusted local opticians in Barnoldswick – just a few minutes from Kelbrook. Providing eyecare services for the residents of West Craven, including home visits in local towns and villages. James Bontoft Optometrist – independent opticians in Barnoldswick – provides top quality, affordable eye care with the professionalism and traditional care expected from a local independent practice. 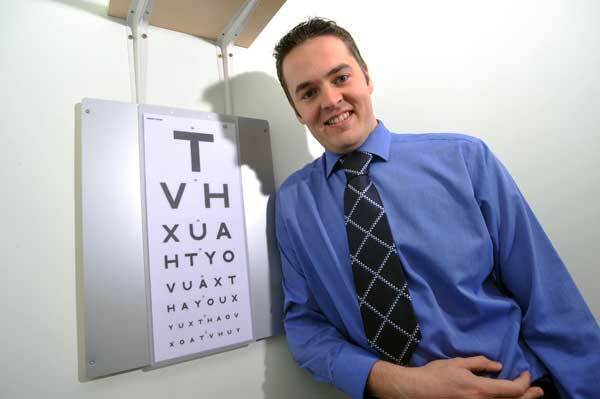 James is a highly qualified, prescribing optometrist working alongside Barnoldswick and Earby GPs and provides all of the local NHS Trust’s enhanced optometric services. Comfortable, relaxed test intervals of 40 minutes allow time to perform additional tests, discuss requirements and needs or provide explanations following the eye test. Digital retinal photography is included in all examinations. The practice stocks a wide range of frames covering all styles and budgets, and provides single vision, bifocal, varifocal, occupational, sport and specialist ophthalmic lenses. There’s sensible and fair pricing throughout the extensive range of frames and lenses, with a fair professional fee structure for contact lens wearers. No special offer gimmicks, loss leading promotions or pushy target driven sales here! Professional trusted local provider growing through word of mouth referrals. Highly qualified prescribing optometrist working alongside local GPs. Provider of all the local NHS Trust’s enhanced optometric services. Comfortable, relaxed test intervals of 40 minutes allowing time to perform additional tests, discuss requirements and needs or provide explanations following the eye test. Digital non-mydriatic Topcon retinal photography included in all our examinations. Fair professional fee structure for our contact lens wearers. No special offer gimmicks, loss leading promotions or pushy target driven sales. Quality German manufactured Rodenstock lenses. We provide single vision, bifocal, varifocal, occupational, sport and specialist ophthalmic lenses. All our frames across our entire range come with either a 12 or 24 month manufacturer warranty. Sensible and fair pricing structure throughout our range of frames and lenses. Reduced cost frames and subsidised lenses for people on an NHS voucher. Wide range of frames that with single vision or bifocal lenses will be of no cost to those on an NHS voucher. We offer free adjustments and minor repairs (screws / pads) for all our own frames. Any frame from elsewhere may, if deemed appropriate, be adjusted. Should work be undertaken, it is done so at your own risk and will incur a charge. All proceeds of this charge will go to our local charity. This is currently Barnoldswick and Earby Bosom Friends, who help families in Kelbrook and West Craven. The prescribing and dispensing of spectacles are closely linked it is best to have your spectacles dispensed where you have your eyes examined. It is often more difficult to resolve any problems you may have with your spectacles when prescribing and supply are separated. Following our college guidelines; we always recommend that you have your glasses dispensed where you have your eye test performed, wherever that may be. Please be aware we do not provide any measurements necessary for the dispense of spectacles after the eye examination. Following the eye test, the responsibility of choosing an appropriate lens, performing the required measurements and ensuring an appropriate fit lies with whomever performs the dispense. We do accept valid optical prescriptions from elsewhere, however we will perform a full eye examination and the prescription will be rechecked by us. We will refund the cost of the eye test off the glasses so you are not out of pocket. This ensures we minimise any potential problems that may arise with your new spectacles. When deciding which optician to use or if you’re just comparing prices… please remember to compare both the product and the service you receive in order to get a fair comparison. Very friendly and professional service. For someone who doesn’t like having their eyes tested I felt completely at ease. In addition there is a great range of glasses to choose from. Very professional service always from James and Colin. Thank you for your attention over the years. James is the best – His knowledge and professionalism are paramount. He is also gentle, kind, and simply a lovely young man. I would always recommend his service! James Bontoft – absolutely excellent! James Bontoft – the best. James Bontoft provides top quality, affordable eye care with the professionalism and traditional care expected from a local independent practice.